I grow lots of Bomarea species . Looks more like a nutrition issue. Fertilize them and see if the markings remain. > The message below from Susan Clark was prevented from being posted by the list software. I will see if I can improve handling of these. I suspect the problem is putting images inline rather than going the old fashioned route and attaching them. This list is text based not HTML. > You can see the picture by following the "scrubbed" link at the very end. > Last year I started off some seeds of the above in April and they germinated in September. Growth of the seedlings was slow and limited to half a dozen creamy leaves. I kept watering the pot over our Summer and it went dormant in February this year. When I tipped out the pot there were 3 marble sized tubers which I replanted in a bigger pot. The first shoots came through in late June. I’ve attached a photo that shows the current growth which is certainly a lot more than last year’s. 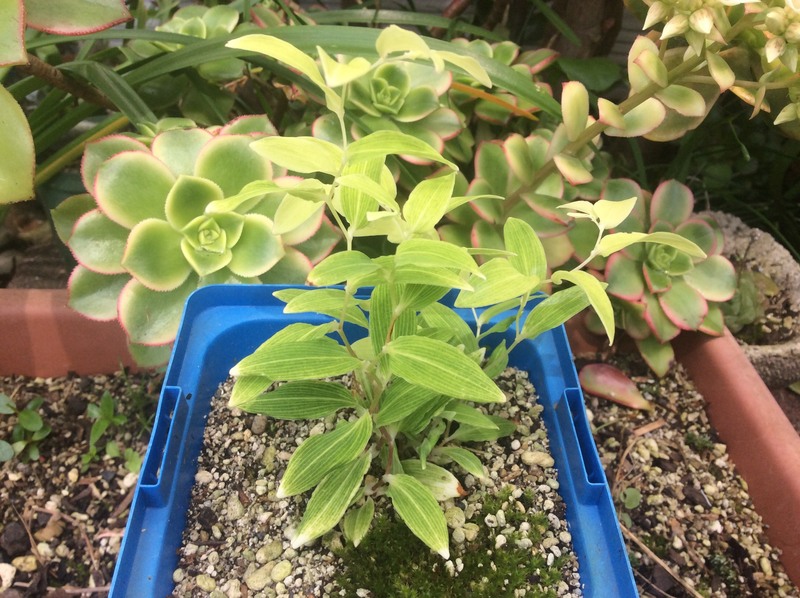 I am wondering though if the variegation is normal - I have a Bomarea edulis plant in the garden, now just coming back into growth, and its leaves are the normal green you see in Internet pictures. At this point I’m wondering about the future viability of this plant.